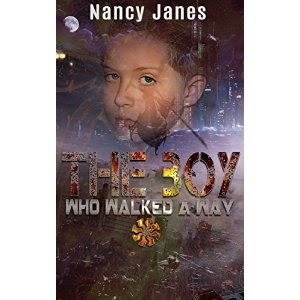 "The Boy Who Walked a Way," by Nancy Janes, follows the journey of a young boy as he grows as a person in a world set in the future. The main character, Jal, is constantly on the run, trying to survive in a war-torn world. He eventually finds himself in a fantastical place, with a swan and a butterfly as his guides. Jal's journey through this imaginative world instills in him a deep sense of understanding, and he develops faith in himself. One of the things I love about this book is that it stimulates the imagination while also providing deep lessons for reflection. I could see this book being used in a book club for young people. It's a great book to discuss because of the many themes. I would recommend this to anyone who wants to read a book aimed at young people with fantasy elements and a deep theme.